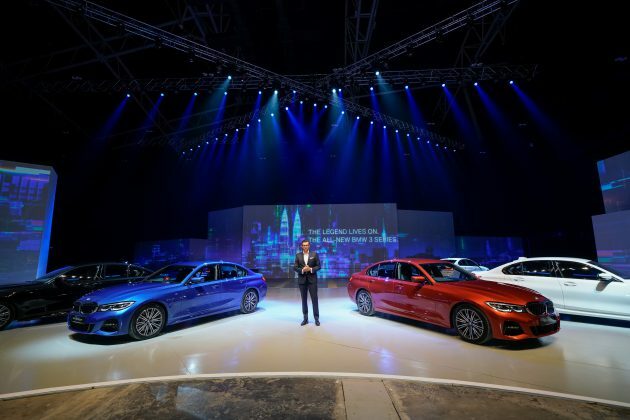 On March 28th, BMW Malaysia unveiled the All-New BMW 3 Series, the 7th generation of the iconic sports sedan. 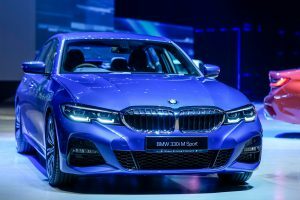 Having sold more than 15 million units globally, the BMW 3 Series is set to add another chapter to the success story of the ultimate sports sedan as the heartbeat of the BMW brand. “The BMW 3 Series is the model that established the premium sports sedan segment. For over 45 years, the 3 Series has continuously raised the benchmark for Sheer Driving Pleasure in the premium automotive industry. 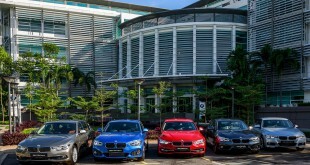 Today, the All-New BMW 3 Series in its seventh generation, takes the signature characteristics of a BMW to another level with a new dynamic design, superior driving dynamics as well as technology and innovation never seen before in the Malaysian automotive industry.” said Mr. Harald Hoelzl, Managing Director of BMW Group Malaysia. 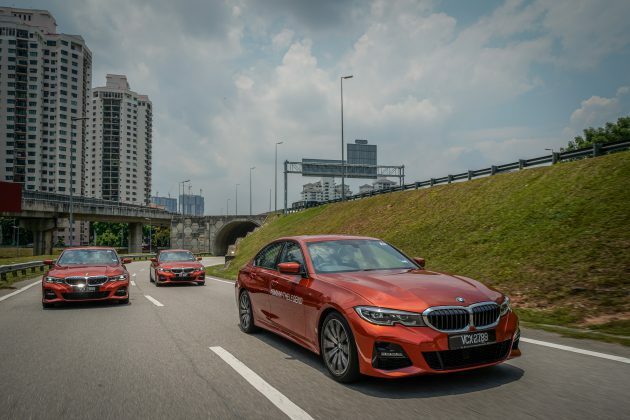 The new ultimate sports sedan from BMW is introduced in the M Sport package exclusively for Malaysia, and features a dynamic sporty design with new dimensions. Its clear, precise lines and beautifully contoured surfaces lend to a new chapter in its iconic design language, while classic elements such as its kidney grille, headlights and Hofmeister kink are reinterpreted for a stronger athletic look. 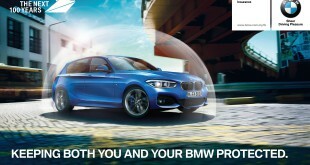 The sporty sedan revolutionises Sheer Driving Pleasure with high level connectivity features including first-in-class premiere of the BMW Intelligent Personal Assistant with unprecedented level of voice recognition intelligence. Innovative functions such as the BMW Digital Key is now also available in the All-New BMW 3 Series, enabling owners to unlock their vehicles and start its engine all with the use of a selection of Android smartphones with Near Field Communications (NFC) technology. The new premium sports sedan also arrives equipped with the Parking Assistant which also features the new Reversing Assist which records the cars journey every 50 metres, enabling it to semi autonomously reverse at low speeds through narrow corners. 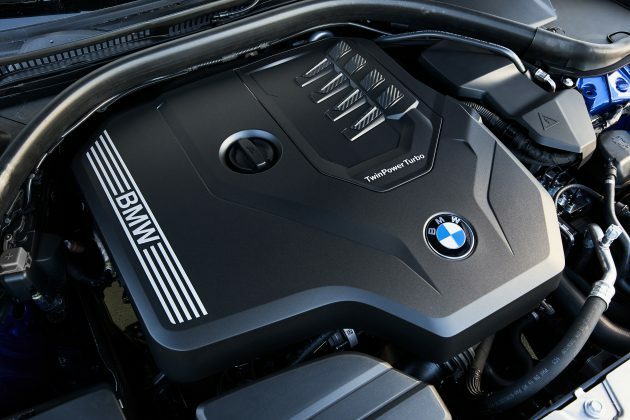 An in-line four-cylinder petrol engine sits at the heart of the All-New BMW 3 Series – the most powerful of its kind to ever be fitted in a BMW vehicle. Even so, the revamped engine guarantees lower fuel consumption and carbon emission, thanks to the further developed 8-speed Steptronic Sport transmission. The appearance of the All-New BMW 3 Series exudes strength and athleticism while still maintaining an air of elegance in its precise lines and taut surfaces. 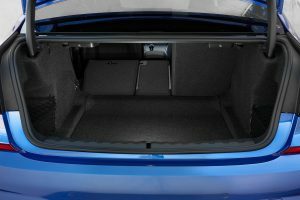 It is 76mm longer (4,709mm), 16mm wider (1,827mm) and just 6mm taller (1,435mm) than its predecessor, improving the comfort of passengers in the rear seat. The wheelbase is also longer by 41mm (2,851mm). The classic kidney grille is now notably larger and wider. 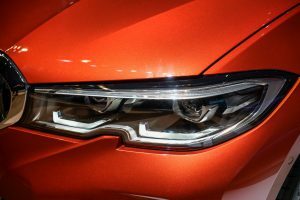 It extends to the twin headlights that are fully LED-equipped and boasts a Bi-LED technology. Slim, three-dimensional taillights are fitted in an L shape with emphasis on the use of smoked glass for a classy appeal – giving onlookers a sophisticated first impression. The familiar silhouette with its long wheelbase, short overhang, subtle coupe-like roofline and Hofmeister kink in the C-pillar will appeal to fans in its new, sleek design language. A remarkable characteristic is the aerodynamic spoiler lip affixed to the rear along with two distinct 90-millimetre tailpipes that gives the All-New BMW 3 Series a sporting edge. 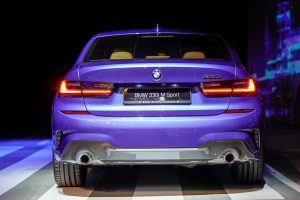 A formidable 2.0-litre TwinPower Turbo petrol engine, the most powerful of its kind yet to be fitted in a BMW model, is introduced in the All-New BMW 330i M Sport generating a top speed of 250 km/h. It outputs 190 kW/258 hp with a peak torque of 400 Nm from 1,550 to 4,400 rpm. It can go from 0 to 100km in just 5.8 seconds. With the updated 8-speed Steptronic Sport transmission, the ultimate sports sedan only consumes 6.4 litre of fuel for every 100km. Along with reduced carbon emissions at 147g/km optimised by a particulate filter included in the exhaust treatment system, the All-New BMW 3 Series successfully meets the Euro 6d-TEMP exhaust standard for a driving performance like no other without the carbon footprint. 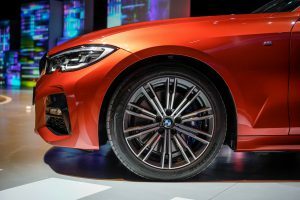 The immaculate construction of the chassis for the All-New BMW 3 Series sees the enhanced driving dynamics, agile handling characteristics, high-precision steering and superior braking performance put front and centre with a well-designed framework. 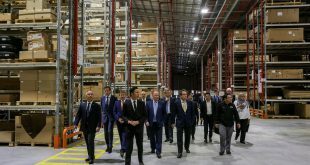 Owners can look forward to a lighter, more rigid vehicle as the total weight has been reduced by 25 kilograms (kerb weight of 1,545kg), which can be accredited to its intelligent lightweight construction. With a drag coefficient of 0.23, the vehicle boasts best-in-class aerodynamics. The rigidity levels of the body structure and suspension attachment have been greatly enhanced as well, with a 50:50 axle load distribution and a low centre of gravity. 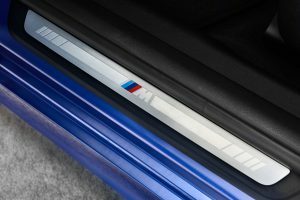 The M Sport suspension will highlight BMW’s first-ever lift-related dampers that exemplify an innovative damping system. It continuously functions in relation to the changing spring travel, neutralising the vibrations that occur when compensating for going over bumps and making dynamic cornering. 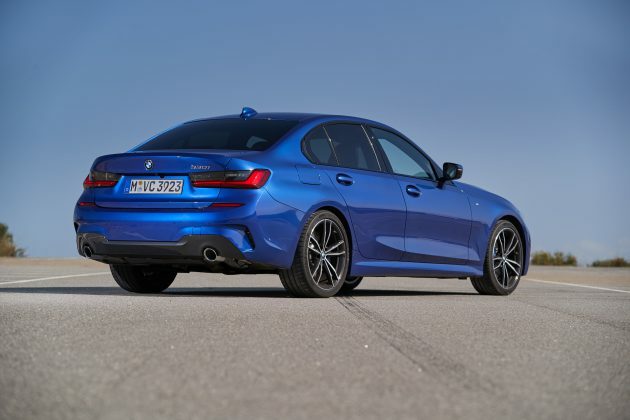 The expanded track widths improve the vehicle’s agility and steering precision while the striking blue-painted callipers that display the M logo fitted onto the M Sport brakes lends to its signature design. The M Sport package also include the 18-inch M Light Alloy wheels Double Spoke Style 790 M bi-colour Orbit Grey with mixed tyres. 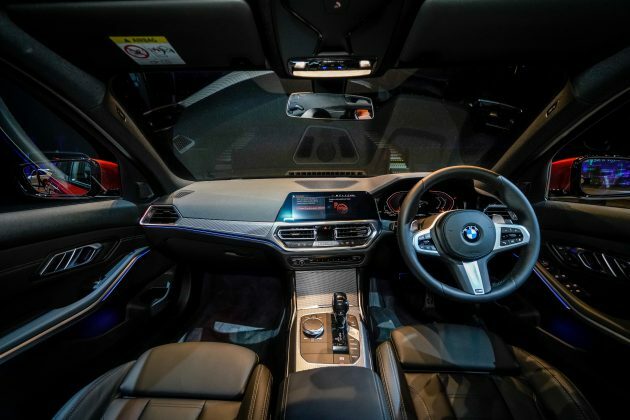 With an interior design of rich sporting flair and a modern clarity of form, the cabin of the All-New BMW 3 Series offers an instant promise of unadulterated driving pleasure. The M Sport leather steering wheel with multifunction and shift paddles along with the ambient interior lighting also focuses on the car’s sporty driving experience. Brimming with new futuristic enhancements, the new model also features the BMW Connected Package Professional subscription which in combination with the BMW Intelligent Personal Assistant and the BMW Digital Key, makes the All-New BMW 3 Series ownership even more enjoyable. 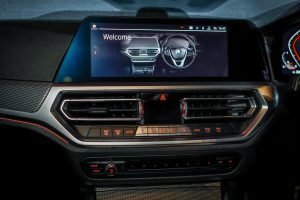 The BMW Intelligent Personal Assistant is set to revolutionise driving pleasure as it enters a new era in which drivers will increasingly be able to operate their car and access its functions and information simply by speaking. 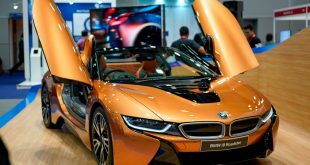 For example, the driver can control various vehicle functions such as navigation and air-conditioning simply by interacting with it. It can also explain vehicle functions, provide status updates on things like the oil level and help detect warnings. The intelligent system will pick up on the driver’s habits and preferences and will then adjust the vehicle to suit the driver. Seamless updates performed via Remote Software Upgrade will continuously add new capabilities to the All-New BMW 3 Series. With the BMW Digital Key, the All-New BMW 3 Series can be conveniently locked and unlocked with the use of Near Field Communication (NFC) technology which is available on a selection of Samsung Android smartphones when placed at the door handles. The engine of the car can then be started by placing the smartphone in the designated charging tray. The All-New BMW 3 Series also arrives with the Parking Assistant, a highly-capable system that can easily manoeuvre out of tight parking spots. When activated, the Park Assist can park the vehicle in spaces parallel or perpendicular to the road. Plus, the new Reversing Assist provides an incredible form of support when operating in narrow spaces. The intuitive system remembers the last 50 metres of the drive to the parking space and will use that knowledge to assist the driver in exiting the spot by taking over the wheel. Complementing the extensive line of innovations is the latest generation of the BMW Live Cockpit Professional. 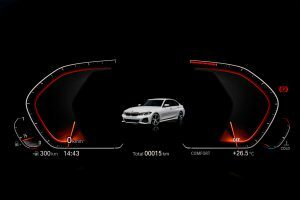 It combines the customisable and situation-linked displays on a fully-digital 12.3-inch instrument cluster and 10.25-inch Control Display. Intuitive operation can be chosen from the Control Display’s touch control, the iDrive Controller, the steering wheel buttons and voice control. 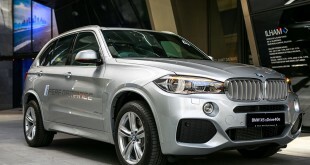 All these features are made available thanks to the new BMW Operating System 7.0. 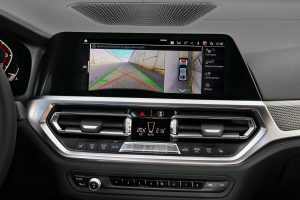 From optimising the control and display system with the advanced BMW Live Cockpit Professional to running a customisable smart system like the BMW Intelligent Personal Assistant, this Operating System shows that BMW stands unrivalled as the most advanced sport sedan ever created. 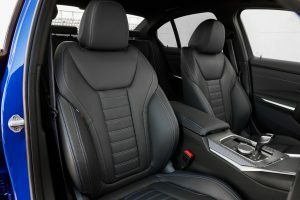 The All-New BMW 3 Series is offered in five alluring colours, namely Portimao Blue, Black Sapphire, Alpine White, Mineral Grey and Sunset Orange, paired with premium Black or Cognac Leather Vernasca upholstery and interior trim finished in Aluminium Tetragon. 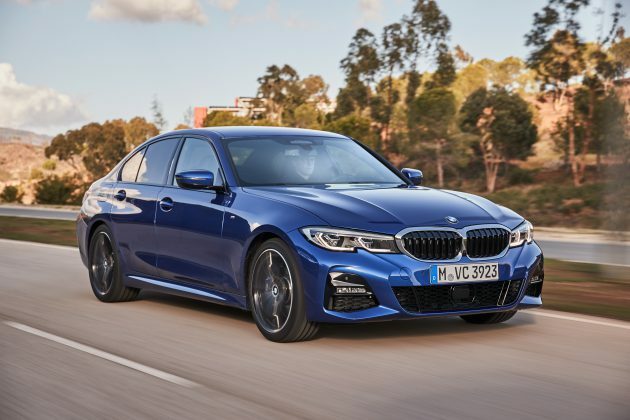 The All-New BMW 3 Series will be available at all authorised BMW dealerships nationwide from 28th March 2019.